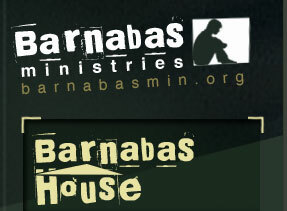 We at Barnabas have been advocating for homeless youth for a really long time, and believe strongly that every young person in our community deserves a safe place to call “home”. Spring 2013 – Completed the site work after some rain, flooding and drainage changing. September 23, 2013 – Received approval to move forward with building from the Department of Human Services. Right NOW, we are: Reconvening Subcontractors, updating documents and plans, reviewing bids and contracts, applying for our building permit, and waiting for the township building inspector to complete his evaluation. Funding is being solidified through a number of private sources. The entire 24 acre campus, and all associated buildings & programs, is a ten million dollar project over five years. To begin digging the foundation for the building, we need $1 million in cash in the bank. Is your contribution part of that million? Check out the Need, the Plan, and the site…..and get involved in providing safe shelter and critical life services for our homeless, runaway, and throwaway youth.